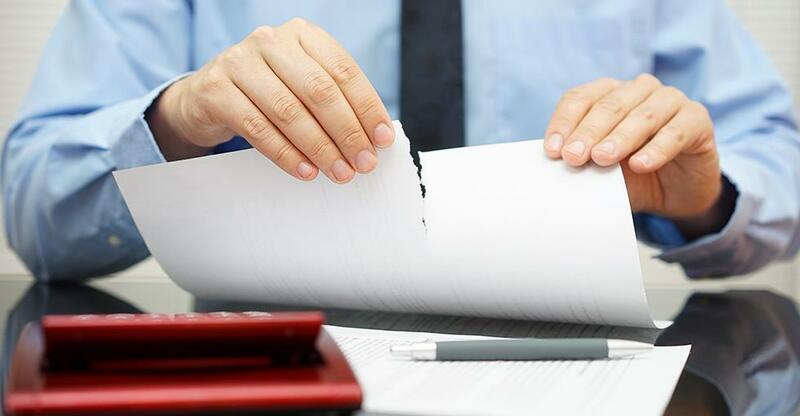 Two of the most common reasons for a proposed business sale collapsing are a lack of transparency and inflexibility on behalf of one or both of the parties. The following guide describes the negotiating circumstances that can result in such an impasse. Sometimes the buyer and seller will have a very different opinion when it comes to the value of the business. The seller may factor in such considerations as the time, effort and money spent building up the business to what it is today, or they may see the sale revenue as a major part of their retirement fund. Conversely, the buyer wants a realistic price that's based on such factors as cash-flow projections, risks and current market valuations. They may feel the business is not sustainable at its current level and feel unhappy about the status of its liabilities. For example, increasing costs in the areas of labour, pensions and employee benefits, with their negative impact on the financial bottom line. The process of due diligence may show that all is not well with the company with regard to any number of matters. For example, some of the production practices may be bordering on the illegal, or lag behind the latest industry standards and government regulations. Contracts with key suppliers may be about to expire, while employee morale may be low, leading to poor productivity and a high turnover of staff, all of which impact upon administration and operational efficiency. Buyers are not stupid, and any obfuscation of the true facts concerning the real state of the business in order to present it in a better light will kill any potential deal and damage the seller's reputation. Facts should be presented openly and honestly, demonstrating the ethicality and integrity of the seller. Not only does that win trust and goodwill, but the buyer may also be willing to devote extra resources in order to overcome any problems. It is in both the buyer's and seller's interests to work together to aid the smooth transition of the business from one party to the other. Whatever the reason, poor record keeping demonstrates poor administrative practices, putting the buyer off advancing with the negotiation. Never present or sign a sale agreement before the due diligence process is complete, no matter what apparent 'get out' clauses it may contain. Once signed, should anything untoward be revealed by due diligence, there is unlikely to be an easy way out, for either party. Sadly, this is something that happens all too often. The idea may have sounded great to the seller at the start, but now they've got cold feet. They may start to feel sentimental, seeing the business as a representation of their life's work, which is understandable as many businesses are built up over a lifetime. Therefore, it is important that prospective sellers are sure of their decision to sell before going to market. To the annoyance of buyers and brokers alike, sellers occasionally enter the market to test the waters and see if they could get the price they have in mind for when they eventually sell. But, a broker will usually be able to tell the difference between those who are serious and those who aren't and will help inexperienced buyers to stay clear. In the same way that sellers can have mixed emotions, so can buyers. Buyers often enter the sales process with excitement and optimism. But as soon as things start to become real and the agreement comes to a close, this is when the last minute doubts creep in. Many buyers pull out at the last minute believeing that they are not ready to take the risk, put in the hard work and handle the long hours. So, its crucial to know that you are set on buying a business, you have done your research and you are well prepared for the entrepreneuriual lifestyle. Any business sale will involve several rounds of negotiation. It is to be expected and welcomed. However, if it goes on for too long, either or both parties may start to tire of the process and withdraw. This unfortunate situation may come about for any number of reasons. The seller may be a reluctant to go through with the process and additionally, he or she may be continually late in supplying requested information, even after several requests, and quite possibly, fail to supply it at all. On the other hand, the buyer may just be looking around the market, with no serious intentions. He or she might also be seen to be unreasonable with too many demands for documentation and information. Finally, it could be that neither party is on the same wavelength when it comes to the major issues.